Summer Throwdown Year 2 - Summer READATHON! Last year we launched Summer Throwdown Teachers vs Librarians. We had a friendly competition to see who could read more, the teachers, headed by Jillian (Heise Reads) and Brian (Wyz Reads) or the school librarians headed by Sherry (Library Fanatic) and Kathy , er me! (The Brain Lair). We had a ton of fun and Jarrett J. Krosoczka (StudioJJK) made a cool logo for the librarians T-shirts! It was great! And each team won a round. This year we are MIXING IT UP! Jillian and Brian, the brains behind the throwdown, changed some things in their classroom and we want to see how that works on national scale. Book counting just got easier: if you read or listen to a book, any book, it counts as one book. So keep in mind what kinds of books you plan to read when setting your personal goal. Wow, just think of the books we'll be able to bring back to the classroom in the fall! 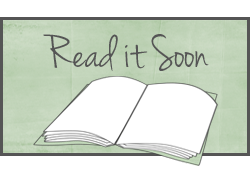 And yes, we will have some ARCs to giveaway and guest posts too! Stay tuned for more information! OH YEAH - SEE THAT LOGO? 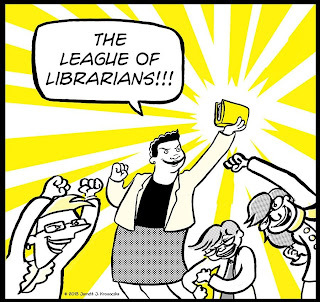 THAT'S THE NEW LEAGUE OF LIBRARIANS T-SHIRT! DESIGNED FOR US BY JARRETT J. KROSOCZKA! PLEASE STOP BY ZAZZLE AND PURCHASE A SHIRT OR MUG! Kittscher, Kristen. Wig in the Window, The. HarperCollins Children's Books, 2013. 368p. $16.99, 9780062110503. Sophie Young and Grace Yang have made a game of spying on their neighbors, but when they stake out the home of bizarre middle school counselor Dr. Charlotte Agford (aka Dr. Awkward), they stumble across a terrifying scene. Or do they? The girls are convinced that Dr. Agford’s sugary sweet façade hides a dark secret. But as they get closer to the truth about Agford, the strain of the investigation pushes Sophie and Grace farther apart. Even if they crack their case, will their friendship survive? 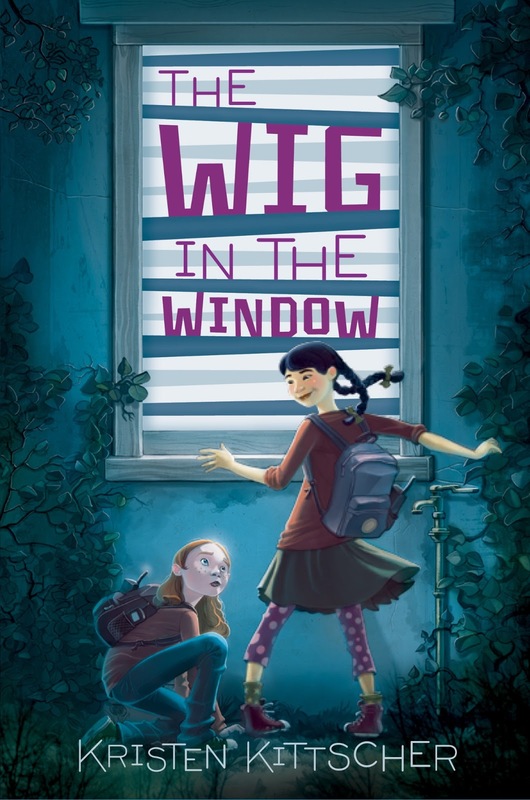 Perfect for fans of The Mysterious Benedict Society, The Wig in the Window is a smart, funny middle-grade mystery with a Rear Window twist. 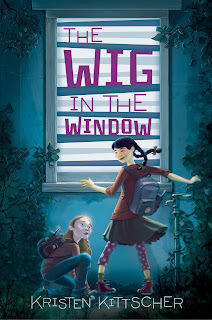 After following the blog tour for Kristen Kittscher's debut novel, The Wig in the Window, you now want your own copy! Guess what? I'm giving it away, giving it away, giving it away now (apologies to the Red Hot Chili Peppers)! 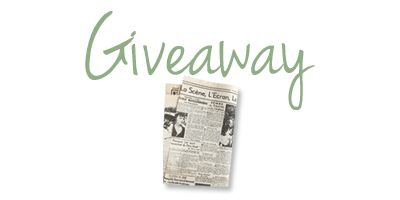 The giveaway is open from June 21, 2013 - June 26, 2013 at 11:59 pm, EST. Winners will be chosen randomly. Giveaway is open to US only! Only one entry per person/address! Must be at least 13 years-old to enter. In The Wig in the Window by Kristen Kittscher, we learn about two friends, Sophie Young and Grace Yang, who fancy themselves as FBI trainees. They sneak out to spy late one night and come across a sight so gruesome it can only mean one thing: MURDER! Pick up your copy today! 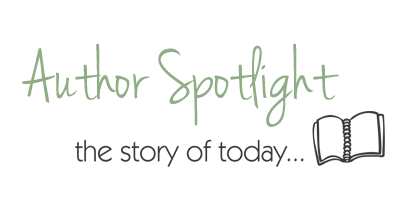 Affiliate Links: Amazon | Shop Indie or wherever it is you get books! Check out my review. Keep reading to get a glimpse into how Kirsten picked the TITLE for The Wig in the Window. Somehow she didn't go with my title - How to Spy on The Neighbors! Strange! I’m delighted to be continuing the blog tour for The Wig in the Window at The Brain Lair! 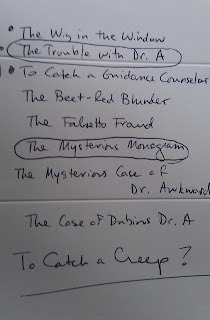 Given the prying nature of my enterprising tween sleuths, Young & Yang, I’ve been taking you all behind-the-scenes for some top secret investigations into how a manuscript is turned into a real, live book. We've already investigated what goes into Designing a Cover, Naming Characters, and the Editorial Process. Today you'll get a peek at some of the behind-the-scenes silliness that went on as Harper Children’s and I decided upon a title. Somehow they weren't feeling the “Untitled Middle Grade” my manuscript sold under. Go figure! We had a week to come up with a title in time for a key sales meeting. The task? Come up with something that would communicate “funny mystery,” but wouldn't sound too old-fashioned or wacky. 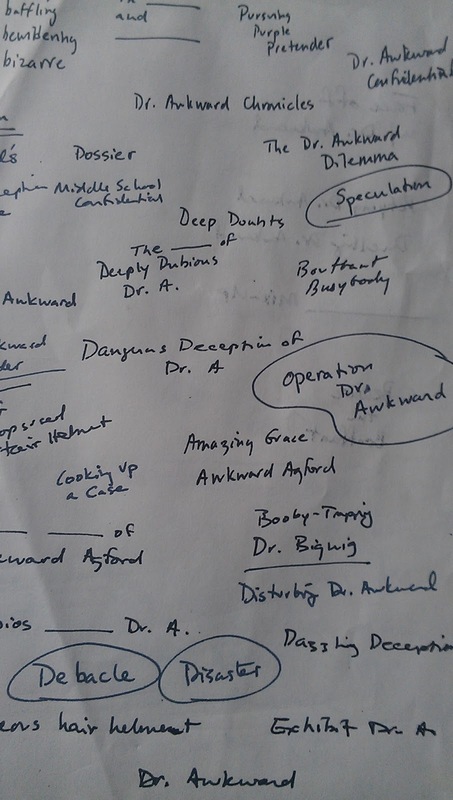 I ran around “testing” titles with my students, none of whom had actually read the manuscript. "It should have "massacre" in it," said one eleven year old. "Definitely 'massacre.'" We’re giggling over them, and yes, we read all the way to the end:) We’ll narrow down the options to our favorites and will run them by our editorial director and Sales to make sure that we wind up with one that everyone likes. 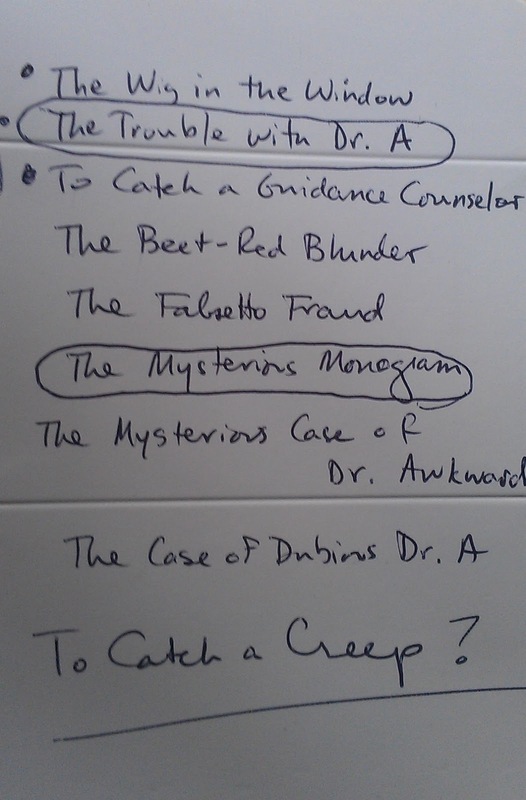 And as hilarious as “Booby-Trapping Dr. Bigwig” is, I don’t think it’s going to make the cover, so you can rest easy. What would work as first in a series? These were my thoughts on the title The Wig in the Window, which I presented as one of my top picks, along with The Trouble with Dr. A.
Pros: Wig! Who doesn't want to buy something with "wig" in the title! Wig = fakeness, too -- which I think kids respond to. I think it lends itself to a very good cover that is still potentially Rear Window-esque. Alliteration makes it catchy. The phrase is mysterious and a bit spooky and funny at the same time. Funny that I couldn’t see the potential for all the headgear and architectural features variations! I happen to be working on The Tiara on the Terrace right now…and who knows, maybe The Beret on the Balcony is in Young & Yang’s future! Hope you enjoyed this peek at some behind-the-scenes silliness. As of June 18, you can judge for yourself whether The Wig in the Window is a fitting title. The book is available at your local independent bookstore, Barnes & Noble, or Amazon. Cover Appeal: A good representation of the girl's personalities. Youngish with the character's drawn more cartoonish than graphic. Will appeal to 4th and 5th and some early 6th graders. Grace is all about the spy business. She's got the clothes and the lingo down. 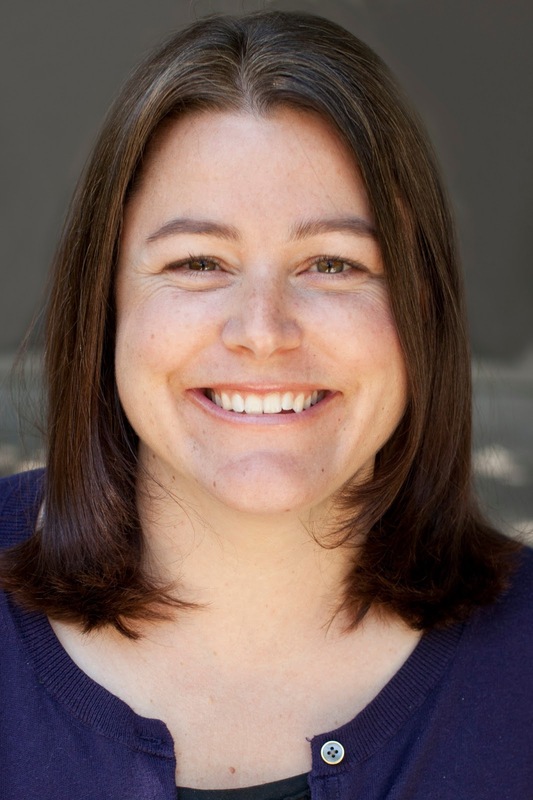 Sophie considers herself more of a shy-retiring type who needs Grace to bring a little action into her life. The girls have upped their spying game by sneaking out of the house at night and investigating FBI bulletins, pretending that the people in the neighborhood represent wanted criminals and are just hiding out in their town. Things take a turn towards the serious when they accuse someone of murder and then find themselves being watched. To Sophie's horror, she also now has to spend MORE time with the suspect. Resentment starts eating away her and Grace's friendship. Were they ever true friends or was she just someone Grace used and pitied? I was drawn in by Sophie and Grace's quick banter. They seemed to know and love each other. There was lots of eye-rolling and compromise. Just like a normal friendship. Using the Walkie Talkies gave them an additional sense of being connected even though Grace was homeschooled, so didn't share in Sophie's daytime world. The friendship gets strained when Sophie finds a new friend in Trista. Even though Grace has friends from Chinese school and piano lessons, she's never had to compete for Sophie's attention. Soon Trista has Sophie questioning herself and Grace's relationship. Not as a way to get Sophie to herself though. She just calls it as she sees it. The mystery, a little gruesome and over the top, was well-developed but didn't seem like the heart of the story. That was the girl's friendship. As such, I was baffled by how much the parent's trusted Dr. Agford, the school counselor. I understand that they were stressed at work, but the strong girl characters we were getting to know, should have stemmed from loving, concerned, and involved parents. Sophie's parents didn't even pretend to listen to her side of the story and they never confiscated her spy equipment, not even the rope she'd used to climb out the window. While Grace's homeschool teacher conveniently leaves the picture, meaning Grace could be at home alone during the day. On the mystery-side, I was able to follow along with Sophie and Grace's spy work and uncover the culprit but I liked that Kittscher threw in a couple of red herrings. Though I guessed the identity of the white truck owner, it took some doing to figure out rest. "At one point she went after the school librarian. The librarian! Could there be a more noble soul?" "...on the bright side, our school counselor is not a fugitive." "If I'd known dropping teeth into drinks could so effectively remove Jake from my presence, I would have made it a more regular practice." It was refreshing to read a book about two twelve-year-old girls who sounded like two twelve-year-olds. Many middle grade novels make the characters sound too young while the young adult books cast them as precocious. When Grace joked that Sophie and her should trade families, I laughed because my daughter has a friend who's similar to me and they joke about trading all the time. I give this 4 out of 5 stars for the mystery and the realistic portrayal. It lost a star due to the lack of parenting. Though the SMILE organization almost brings it back to the top, the confusing love interest struck me as unneeded and brings it back down to 4. Tune in tomorrow when Kristen Kittscher guest stars on The Brain Lair! Click the button in the sidebar for more tour stops! Make sure you stop by some of my favorite bloggers! Want to use The Wig in the Window in a group setting? Here's The Wig and The Window Discussion Guide! It's been a while, I've had a lot going one, but Maria and I are back. Today we discuss the first part of Summer of the Mariposa's called The Depature. Check out our cover discussion below. Don't forget to stop by Maria's Melange and get her take on the first part of McCall's book. Summer of the Mariposa's was nominated for an Andre Norton award for 2013. If you are looking for some Young Adult Science Fiction or Fantasy reads, check out The Andre Norton Award for ideas. In this first summer where the moms not around to call the shots, Odilia and her sisters decide they just want to have fun. As they are out at their favourite swimming hole, the come across a dead body. Juanita decides they need to take the man’s body back to his family. Here we see the relationship of the sisters unfold. They are the Cinco Hermanitas- the five Garza sisters- together forever, no matter what! We have Odilia, the oldest at fifteen, is like a second mom and the voice of reason. Juanita, fourteen, is the compassionate one. The twins Delia and Velia, 13, are the heck raising middle sisters and Pita, 10, just wants to be taken care of, to stay the baby a little while longer. 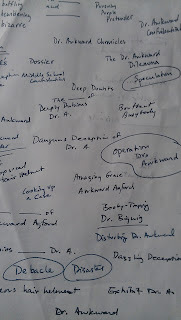 It will be interesting to see what role each girl plays as we move through the novel. I discuss this, too! I love how almost any student will be able to find a mirror for their own family role in this group. Odilia refuses the call at first. I love how she thought she was tricking the sisters but they'd already worked a plan. What would have happened if she hadn’t jumped in the car? I adore how she tries to be in charge, but is forced to change her plans. It seems like the girls know each other really well. I'd never heard the story of La Llorona! I did find mentions of several picture books that recount the story of the Legendary Weeping Woman who drowned her own children and hope to pick them up soon.. It would be interesting to have students find and compare several versions of the story. It would also be interesting to compare those tales to the Llorona we meet. I adore mythical stories from other cultures. I need to learn more about this one. When she gets the earring, I thought each ring would somehow help each sister directly since the earring has five rings. Does the number five hold significance in Mexican culture? I had a similar thought, but didn’t write about it. There was also a scene with the 5 shooting stars. I’d love to know if it just ties to the girls, or if 5 is a magical number in this culture. Not much else I can say here. I love that sentence. The cadence. How she didn’t use commas and used ands so you can feel the rhythm and pretend you were driving with the Hermanitas! I loved this, too! This section was, by far, my favorite part of the novel. Things took a darker turn and here we will see how the sisters stick together and Odilia will for sure come into her own! I want to find out about the dead man, and how he came to be in the river, and why his children are so much older than the pictures? Why don’t they miss him?? What did he do? I’m so glad we’re done chatting about this section now so I can plunge into the next part of the tale! I am not sure what I think! I like it but so many things happened in my personal life this month that reading was pushed aside. Which meant having to scramble to do my committee reading. Which meant this fun reading felt like less fun. I don’t think it’s the book. Things should start easing up since I’m practically done with work. I’ve had weeks like that - weeks where I felt like “it’s not the book, it’s me” felt real. I hope that now that things are calming down you’ll be able to relax and enjoy. Our school year is coming to an end. The students in my TV Studio class did some really nice book trailers. Despite the spelling and grammar mistakes, I can see how their video skills have improved. It will be sad to say goodbye to them, but I'm so happy to get back to full-time in the library! I look forward to having more time to partner with teachers in the fall! 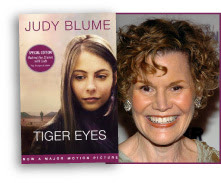 The other thing I'm looking forward to - seeing the TIGER EYES MOVIE and meeting JUDY BLUME! Saturday, June 8th, 2013 at the Tivoli Theater! Sign up here! And at the end of this week - two of my favorite things come into play! The 48 Hour Book Challenge (#48hbc) and Summer Book-A-Day (#bookaday)! YIPPEE! This is how I mark the end of the school year and the beginning of summer reading! 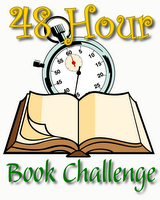 This year the 48 Hour Book Challenge runs from 7 am Friday, June 7th until 7 am Monday, June 10th. You can pick any consecutive 48 hours in that time span to read as much as you possibly can! This year's challenge will be hosted by Ms. Yingling and Abby The Librarian. Last year I met my goal of reading 20 hours and donated $20 to Reading is Fundamental! This year, as noted above, I'll be taking some time to see JUDY BLUME so I won't have as much time to read. Will have to figure out my goal by Friday! This Saturday will also kickoff my 4th year participating in Donalyn Miller's summer reading challenge. One goal is to encourage students to prevent the summer slide by setting an example for them. Another goal is to catch up on books you've been meaning to read or to find new books to introduce to students in the fall. Either way it's win-win! And all books count! Children's books, adult books, picture books, graphic novels, memoirs, narrative nonfiction, committee reads, and mind-candy! Just read! My break officially runs Saturday, June 8 - Sunday, August 11, 2013. That's 65 days which means my Summer Book A Day goal is to read 65 books! You can read several books in one day or no books on some days. It's an average! No pressure! That is the beauty of this challenge. It's only a challenge against yourself! Happy Reading! And, look for the return of the Summer Throwdown - School Librarians vs Teachers reading challenge in July!